Start with a dream, an independent spirit, creative thinking and a big helping of plain, old-fashioned hard work. You, too, can build an island business that sparks commerce and creates our own jobs. We do not give up easily. We keep at it, talking to the “old timers” and running ideas past our buddies. Don’t get me wrong, we need jobs here on Orcas and many have left searching for work. The lack of work here is a first in the 24 years I have lived on Orcas, and it feels heavy in my heart. I want to share a few stories about those who stayed. If you want some good seafood and ambiance, head to Buck Bay. I went out on sunny day in August. Toni was hard at work overseeing the vegetables out of the large garden, counting live crab and making sure her sidekick, Mark, had the kings on ice. Toni already had the wine chilled, crab on ice and the BBQ ready for the fish. 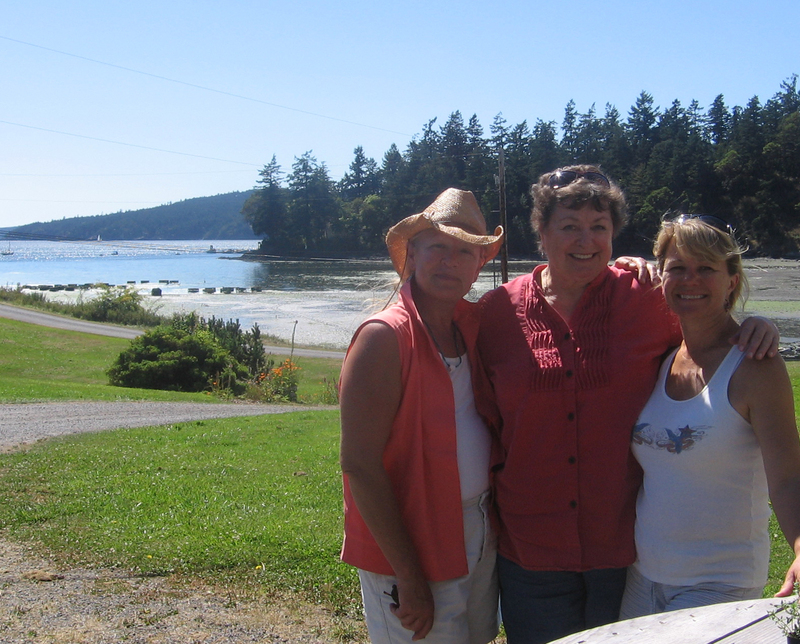 We sat and enjoyed the food, laughed about old times (she was the building inspector on Orcas) and enjoyed a seafood feast I will never forget. 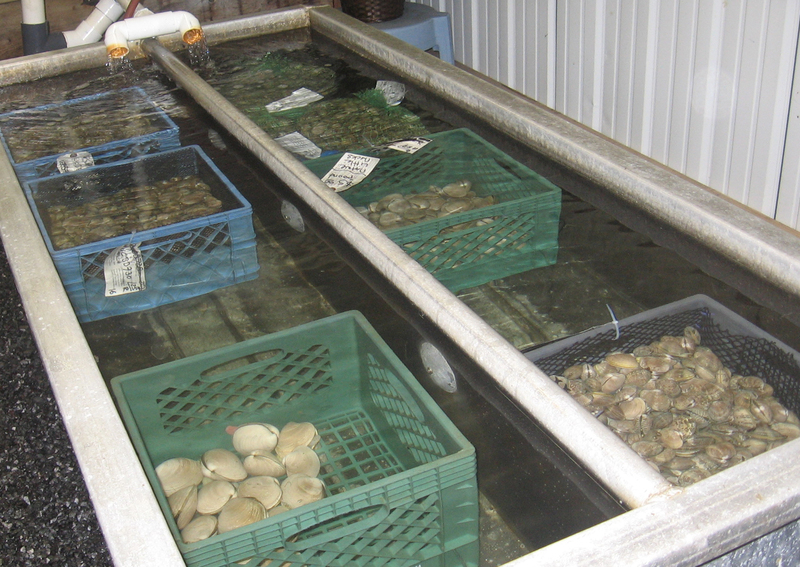 At Buck Bay, you can purchase live or cooked crab, oysters and clams as well as king or sockeye. Mark and Toni have worked really hard to make something out of the legacy Mark’s grandparents started in Buck Bay back in the day. They sell to locals and tourists who are lucky enough to head to Olga, and they also sell to many of the local restaurants who pride themselves on serving fresh, local ingredients. Brewing beer is not just for mainlanders. These three young entrepreneurs had a passion and a dream and made it happen. 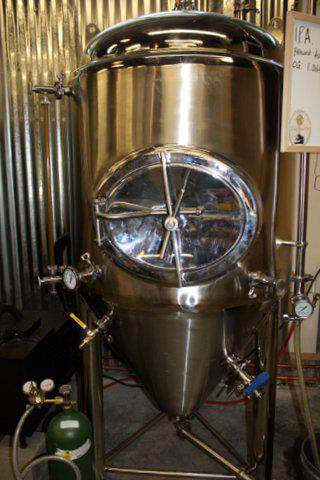 They encountered many bumps along the way, such as finding out there is much more to brewing beer when you make it more than a hobby, finding a designation that allows manufacturing and finding a location that is convenient for beer lovers to come and check out the operation while they test the brew in the tasting room. 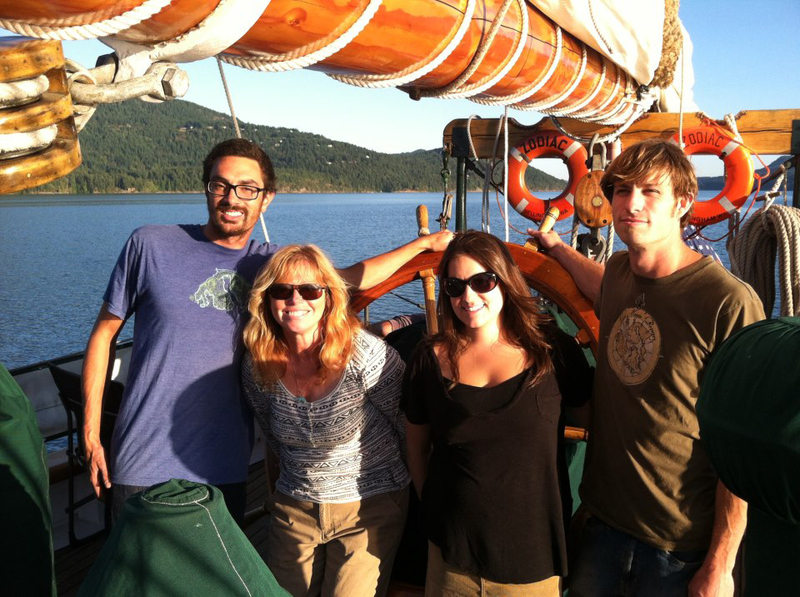 The landlord has offered favorable terms and has accompanied the group to the annual Oktoberfest on San Juan Island, where Island Hoppin Brew was received with enthusiasm. This business is selling customers growlers to go as well as supplying our local watering holes with a local flavor. To add to their business plan, they feature local bands and a traveling pizza oven to ensure a good time is had by all. The community has come together to support this new commerce on Orcas. Professional landscapers Carol and Kevin McCoy have created something out of nothing. 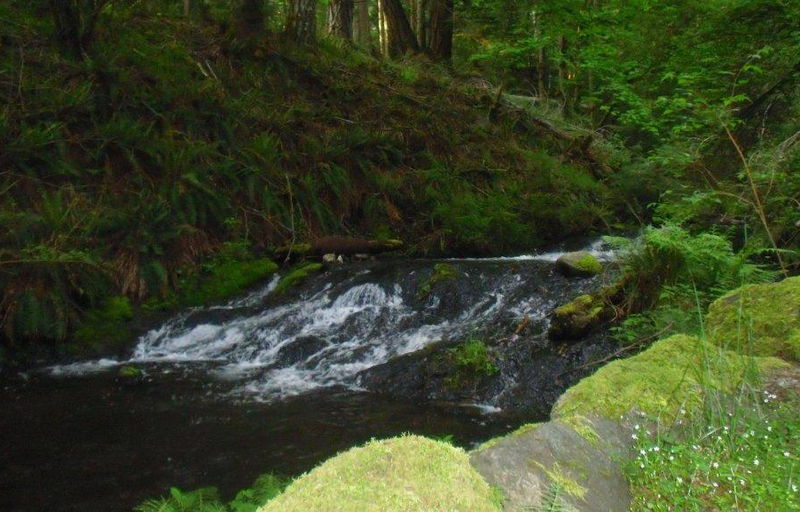 Nestled among the forest and Cascade Creek adjacent to Moran State Park, you will find a magical garden space created out of love of nature, re-purposed treasures and a lot of hard work. They have crafted a perfect setting for your special day, whether it’s a wedding, anniversary, birthday, or just plain fun with friends. The space includes covered sitting areas, trails through the flowers, sitting areas by the creek, a large level tent site, a fully equipped kitchen and an outdoor cooking area. This makes it a cinch to throw a party! 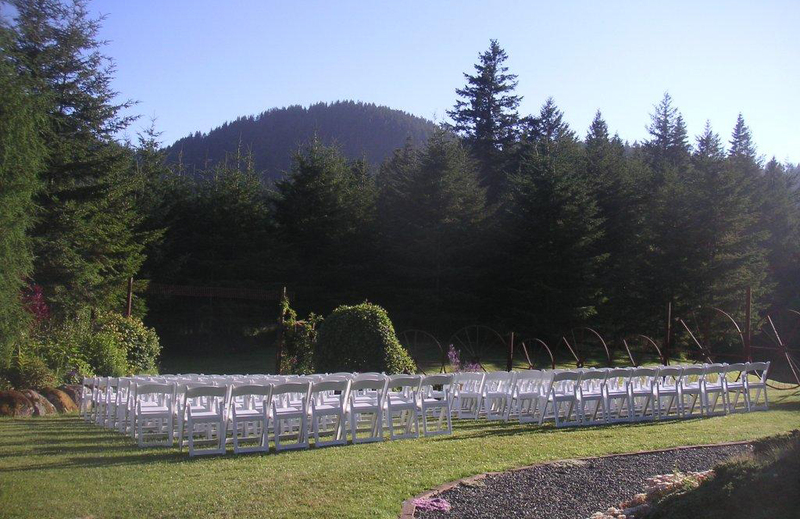 You can rent the entire 20-acre property or just the garden—either way, your event will be a success and you will not want to leave. I helped all of these friends—who happen to be clients—by consulting on proposed property use, County-required permitting and compliance. I, too, am a survivor creating my own job description. And, lucky for me, it involves what I love and helping friends. Opening night of the Edge art show at Orcas Center’s Madrona Room. There were so many participants the displays spilled out into the reception area and hall. This weekend marked the opening of the Edge Art show at Orcas Center, featuring alternative art from artists in our community. The techniques and mediums varied wildly and included felted puppets, indian headdresses, venetian plaster/gold leaf abstracts, collage of homeless persons’ signs and stunning “gun powder” art from Clyde Duke, a local contractor and fire commissioner. Writers composing poetry “while you wait” on old fashioned typewriters. 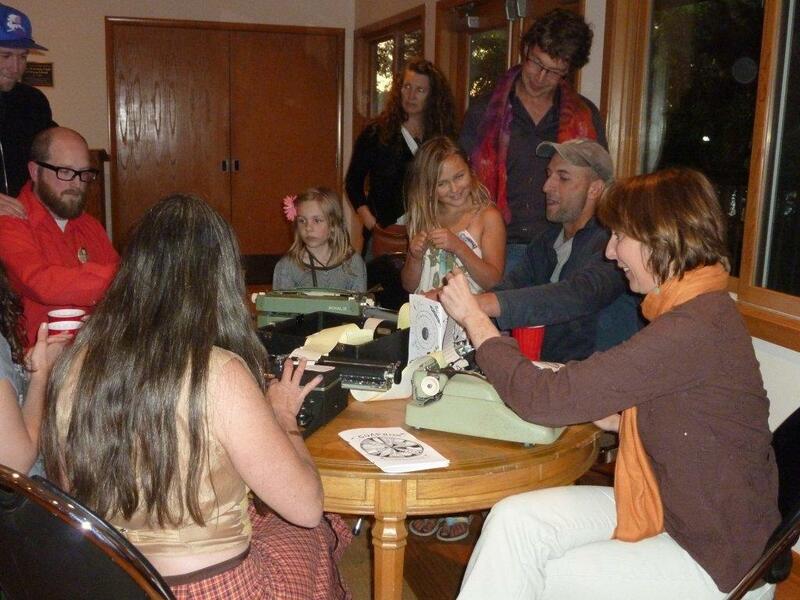 Most unusual was a group of poets typing poems on ticker tape using old-fashioned typewriters. Give a keyword to one of them, and they’d compose a poem around it. My word was “autumn” and I was surprised when a gal named Kat tracked me down to recite it and give me the carbon copy as a memento. What a creative bunch! This group also published a Zine which was a new concept to me. While waiting for my pizza, I munched on one of their delicious organic cookies — a chewy concoction of oatmeal, berries and chocolate. 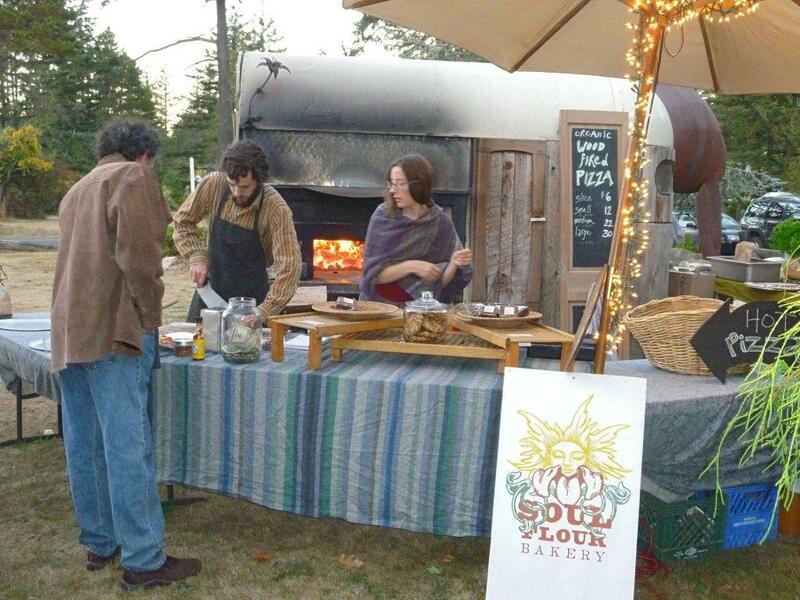 The Friday night opening event included yummy wood-fired pizza from Soul Flour Bakery as well as beer from our new Island Hoppin’ Brewery. 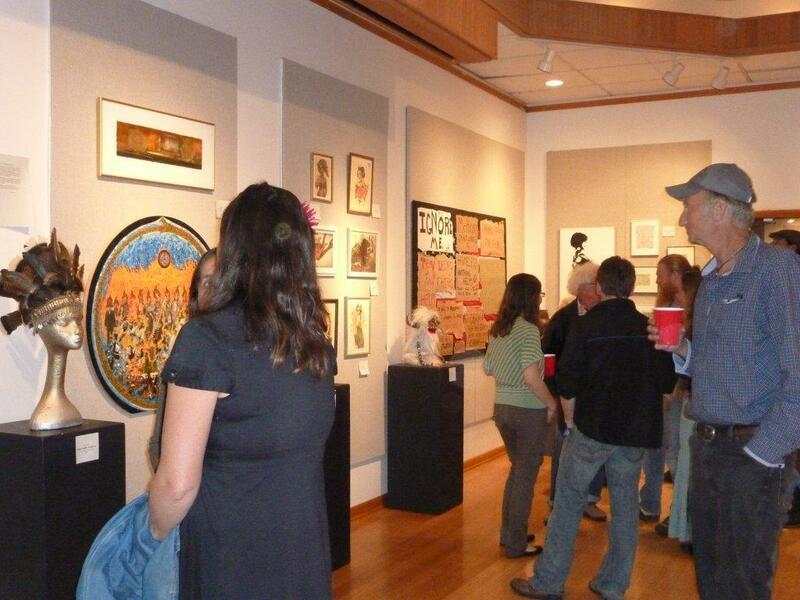 Many of the artists were present, and it was fun to see familiar faces in a different context from their day jobs. The show will continue at Orcas Center throughout October. 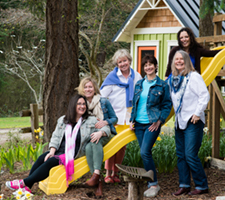 And although there won’t be food or “poems while you wait,” I recommend you attend to see the alternative art side of Orcas Island!